However, a person in the area wouldn’t be able to see a thing. “The camera analyzes the reflections of near-infrared light to retrieve the actual colors of a scene,” Sharp spokeswoman Miyuki Nakayama said. The CCD chip was developed with Japan’s National Institute of Advanced Industrial Science and Technology (AIST), which had been working on color night-vision cameras for several years. Since it only has one chip, the camera is the size of a conventional security camera. It weighs about 940 grams. Sharp said it will begin sales of the camera on Nov. 28 and is targeting production of 4,000 units per month, with availability initially in Japan. The price would be around ¥150,000 ($1,325) to ¥200,000, which would be about 1.5 to two times as much as conventional security cameras, according to the company. A prototype of the camera was shown off at the Ceatec trade show outside Tokyo last month, where Sharp also displayed a car camera system that lets drivers have a virtual bird’s eye view of their surroundings. 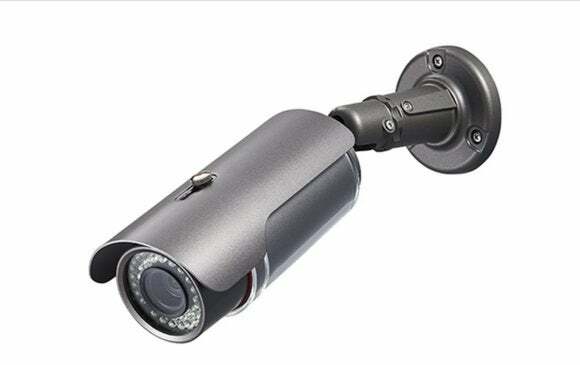 Sharp’s camera follows several security cameras released by Sony that also use infrared light and are designed to work in very low light conditions. They can reveal faces and vehicle license plates by using exposure-compensation technology, according to Sony.